Being a mother is the MOST difficult role in the world. I'm sure you all will agree. Whether be it be Stay-At-Home-Moms, Work-At-Home-Moms and like myself, Work-Out-Of-Home-Moms, we all have a say at how tasking it is to fulfill this role. There is NO PERFECT way to being a Mother and I will not preach how to be one. 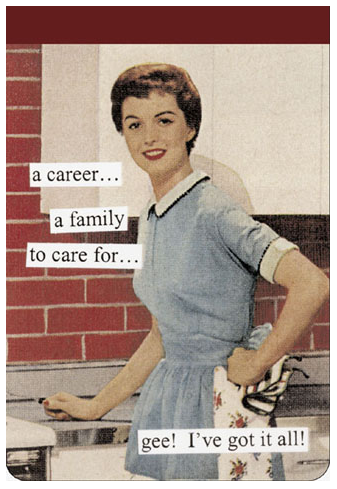 We all have our own struggles and challenges on performing this high-profile job, that of being a Mother. As they say, to each his own. No one should judge how one mother performs her job of taking care of her family, even of herself, managing the household, tutoring her children, and handling her family's budget. We are all unique individuals, our husbands or partners are too and that goes for our children as well. As mothers, we listen and act on our instincts hence we do what we think and feel is right. It's funny because sometimes, even if we've done everything we can in our capacity, we still feel guilty for thinking if we've done it right, if we've done too much or if we've done too little. I've had that share of mommy guilt, which I've written about in my past post. That's the beauty of our roles. We have our own check and balance, we have our set of key performance indicators, we are always conscious and self-aware of how we are as mothers. That sometimes, we become too hard on ourselves. I realized, that we should just relax and not pressure or stress ourselves too much. All we have to do is LOVE our children unconditionally and everything else will follow. I've shared a a thing or two to my mommy group of friends at the workplace. Looking at our sharing from afar, I've realized that we all know we are not perfect and that we have some troubles keeping our household clean or organized at all. That we all work hard to send our kids to school. We sacrifice our times at work to be away from the children. But that in order for us to be still sane while juggling motherhood and work there are certain things we need to fulfill our roles. A job with complete benefits (Medical, Dental, Educational, Insurance, Loans) - I admit that one of the reasons why I stay with the company that I am working for is because of its benefits that may not be present in other companies. I am blessed to be working where I'm working for because I don't worry much in case I or my children get sick or has an emergency case, because I can rely to our health care benefits. One more of the benefits I appreciate is the educational loan at 0% interest payable in one year. Now the bonuses are really a bonus should you have those in your company because it allows one to save, invest or but that automatic washing machine you've beeing eyeing for months. A workable schedule - I am one of you who has a lot to accomplish first at home or attend to school programs and sometimes deal with a crying toddler due to separation anxiety. But at the same time we don't want to be late for work or file leaves, so a workable or flexible work schedule would really help a lot. Unfortunately not all companies allow this. Sometimes, even if it's allowed we have to justify filing for it. An understanding boss - Working lives for mothers would be a lot easier if we have an understanding boss. Most of the time, it's either he or she is a parent as well. But sometimes, even if he/she's a parent, we cannot really expect their understanding all the time. We may have our valid reasons for being late or for choosing a later work schedule, but if they are strict about coming to work at a fixed schedule all times, then there's nothing we could do but comply. All we could just do is communicate clearly our situations, if there's any special arrangement you'd like to propose, and tell them what can be expected of you. But just make sure that you deliver your outputs and exceed some expectations. As they say, under-promise but over-deliver is better that anything. A Nursing/Breastfeeding/Breast pumping Room - After I gave birth to my second child, I went back to work after two months of maternity leave. How I wish it could be longer but there's nothing I could do, a policy is a policy. I was breastfeeding and I carry my breastpump to work everyday. I had duties at work, and duties as a breastfeeding mother. I had to juggle both at the workplace. It didn't help me at that time to breastpump in the comfort room. No matter how comfort that room sounds, believe me, it's uncomfortable for breast pumping. I had to go to the rest room every three hours to pump with the feeling of discomfort because it's not a proper room for doing it. But that time I had no choice, but to do it there. Fortunately, after a year, our company dedicated a room for breastpumping mothers. Too bad, I stopped breastfeeding already for I had no more milk supply. A Support Mommy Group - Stress gets to any working mothers' nerves at work and admit it also at home right? We all need to destress. Unfortunately, we cannot always afford a salon time or a spa just to release stress. So one of the most affordable (what there's a cost? If you just want to have snacks or lunch together) and most of the the free stress-reliever is a good laugh and sharing of tips with mommy friends at work. Sometimes showbiz chismis or personal/relationship secrets are juicier topics to talk about. Go and be social and you will find yourself lighter and more ready for work after that break full laughter and support from mommy friends. As working mothers, we do need all the support and understanding we can get first from our spouses, our life partners, then second from our workplace. The struggle that we have inside us, the time away spent from home and juggling two jobs at the same time, could really take a toll on our physical, mental and yes, psychological state. If we have at least most of those listed above then at least we could achieve balance in our lives as working mothers. BUSY is the new HAPPY. Hahaha! I totally agree on what you said Louise especially the health and wellness program part. In our company we do get discounts from Gold's Gym and free Zumba classes from time to time. We owe it to our families and not just ourselves to take care of our health that is why every Sunday I make it a point to wake at about 4:00 am and prepare for my fitness day. Hope we can join the same Zumba party or group exercise at the BGC park. Btw,there will be a Zumba party for a cause on 10/12/13 for Breast Cancer Awareness. If in case you are free just drop by at my blog for more info. True enough, we should appreciate all the perks given by our employers for us to fully embrace leaving home for work to cover expenses and rushing to get back home to take care of our children. i super like the post. sana all working moms are lucky enough to have this benefits. Hello @EINz how was your first day at work? I can so feel you because I went through that before. The feeling of separation from the baby breaks my heart grabe each time I leave the house for work. But you'll get by my dear. Just think that we're doing this for their secured future. Take care always my dear!